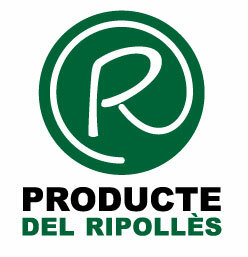 The guarantee brand Producte del Ripollès identifies the agricultural products which been produced and/or processed at region. Only could wear this distinctive badge the products which had passed our quality control system and meet the conditions of the brand specific use Regulation. Buy products with our guarantee brand Producte del Ripollès guarantees the origin of the animals, as well as an excellent quality. In addition, with its purchase contributes to economy development from our territory and to keep save of native breeds such as ripollesa sheep, bruna cow of Pyrenees and Pyrenees Catalan horse. It’s our wish, bring to your homes the food produced under the guarantee brand Producte del Ripollès. We are proud about the work we do at fields and workrooms, and we are happy that you fill the shopping basket with our products. Our future depends, in great measure, on your confidence about the work we do and our products.